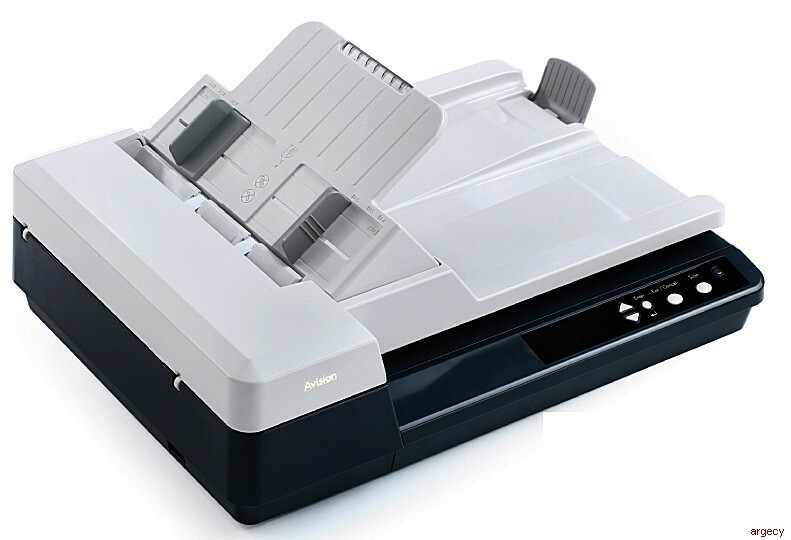 with Automatic Document Feeder/Flatbed is a compact and affordable productivity scanning solution delivering 25 pages per minute and 50 images per minute in 300 dpi resolution. The combination of high productivity and affordability makes this series the obvious choice for reducing the total cost of scanning. AV620N with network interface can be shared by all users within a local area network. AV620N is implemented with network port to be used as a network scanner. The AV620N is enhanced with the innovative feature to scan to USB flash drive. By inserting a USB flash drive into the USB flash drive port, the AV620N allows you to start automatic scan without connecting to a computer and save the scanned images to a USB flash drive in predefined settings. For example, by selecting USB Disk and Document or Photo on the control panel, the scanned image can be saved in 300 dpi, gray, A4 size, pdf file format or in 600 dpi, color, 5" x 7", and jpeg file format. The AV620C2+ is easy to use through the enhanced LCD display which allows 16*2 characters. By selecting USB Disk, the scan can be done automatically. By selecting PC and then your desired profile, the scan can be started and the scanned image can be linked to your desired destination application such as e-mail, printer, or image-editing software application. Up to nine frequently used scan settings and destinations can be preset for different scanning needs. The AV620N is compact and earth-friendly in design since it uses CIS (contact image sensor) technology which requires smaller space and the LED lamp as the light source. The LED lamps are lower power consumption and are designed to last for the life of the scanner, and their bright light renders true illumination to enable accurate color imaging. With easy-to-change and easy-to-clean parts, ongoing routine maintenance can be handled by scanner users. This reduces the need for service calls and allows you to boost scanning efficiency. For advanced users who wish to control scan settings and obtain the best image quality, the Avision's AV620N is able to scan through Avision's advanced TWAIN user interface from TWAIN-compliant software application. Avision's TWAIN user interface provides various useful features to enhance your image quality including auto crop and deskew, auto color detection, color matching, color dropout and so on. The Avision AV620N comes with TWAIN and ISIS drivers, and is bundled with a suite of powerful software applications that include Avision Button Manager, AvScan , and PaperPort 14SE. With Button Manager, you can scan to searchable PDF, JPEG, BMP, or GIF file format, save to folder on your computer, and scan to e-mail, printer, or other application with a press of a button. The AVScan and PaperPort are highly effective image processing and document management software that helps you streamline your task more efficiently.